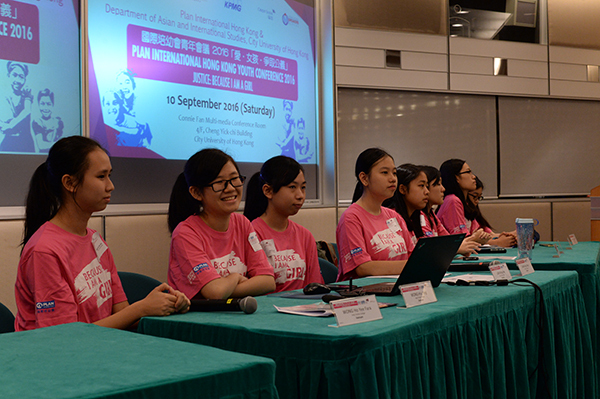 Plan International Hong Kong has organised ‘Plan International Hong Kong Youth Conference’ since 2015 with the Department of Asian and International Studies of City University of Hong Kong for local young people to meet, reflect and exchange ideas on global issues, especially girls’ situations in low income countries. 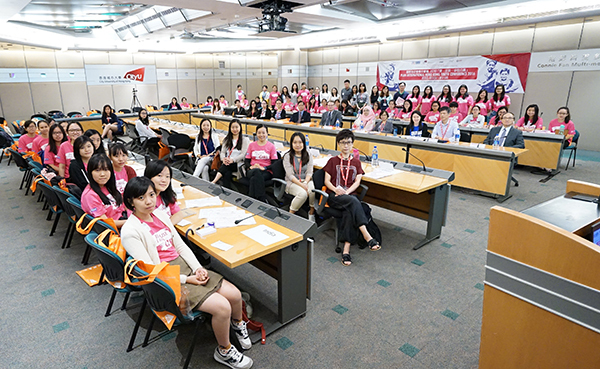 At the Youth Conference, participants acted as representatives of difference low income countries to introduce local girls’ situations and make suggestions for improvement. The discussion and reflection on girl issues in low income countries encourage and inspire young people to speak out in support of more girls to learn, lead, decide and thrive, so that they could become powerful forces for change in their communities.